Building a new home can be done any time of year. 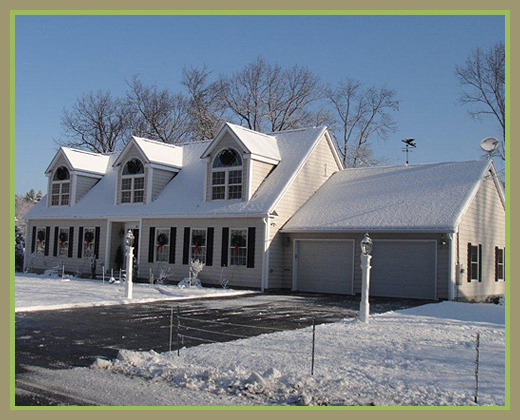 And at Custom Modular Homes New England, we are used to building homes in the winter. So if you have been thinking about building yourself a new home, and you want to take advantage of the low mortgage rates before they rise some more, you can! At CMHNE we are experienced modular home builders who have been building in Southern New Hampshire and Northern Massachusetts for decades. We take extra precautions with the ground digging, laying down hay, leaves, wood chips, or other mulch to keep the ground from freezing. Additionally, specially formulated cement is used to pour your new home’s foundation during the winter. And, of course, all of our custom built homes are constructed in a factory to exact specifications. In a protected factory environment, each module of your home is constructed to the floor plan we have made for you. The modules are then driven out to the site and assembled via crane. You do not need to be concerned about your new home being subject to the elements. So take advantage of these low mortgage rates before they continue to rise and feel free to start your new home building project.